The expression ξ(G) is basically sum of all degrees in a tree. For example, in the following tree, the sum is 3 + 1 + 1 + 1. Now the questions is, if sum of degrees in trees are same, then what is the relationship between number of vertices present in both trees? The answer is, ξ(G) and ξ(T) is same for two trees, then the trees have same number of vertices. It can be proved by induction. Let it be true for n vertices. If we add a vertex, then the new vertex (if it is not the first node) increases degree by 2, it doesn't matter where we add it. For example, try to add a new vertex say 'e' at different places in above example tee. In Newton-Raphson's method, We use the following formula to get the next value of f(x). f'(x) is derivative of f(x). 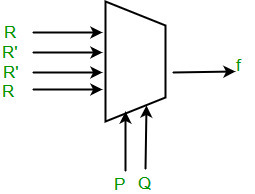 What is the possible number of reflexive relations on a set of 5 elements? What is the value of Limn->∞(1-1/n)2n ? The value of e (mathematical constant) can be written as following And the value of 1/e can be written as following. 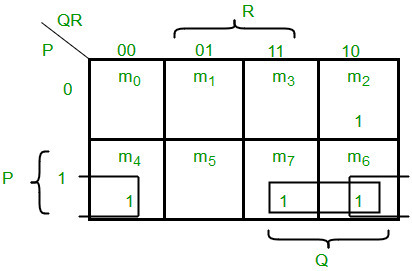 Number of chips required for 4MB MM = (4 * 2^20 * 8) / (1 * 2^20) = 32 chips In a refresh cycle, a whole row of a memory chip is refreshed at once. This implies the given time of 100 ns for one refresh operation refreshes one row of memory chip. Since there are 1K=2^10 such rows, time for refreshing a whole chip would be: 2^10 * 100 ns. Second question arises, how to arrange these chips as there can be many possible arrangements. There is a logical arrangement provided in the problem statement itself as "1M x 1 bit chip". This indicates that to make a "1M x 32 bits" MM, we need to arrange all 32 chips in a line. It is to be noted that a row in all chips in series can be refreshed in one refresh cycle. This makes the total time to refresh the 4MBytes of memory as same as that of one chip. Hence, time required to refresh MM = 100 * 2^10 ns. So, option (B) is correct. See below comments for explanation.